Hormel Foods-owned turkey distributor Jennie-O has released 17 new turkey products for the US market, including turkey frankfurters and several new turkey bacon flavours. Jennie-O says it has introduced the new products to respond to growing consumer demand for premium meats which contains low-calorie levels and are made without artificial ingredients. 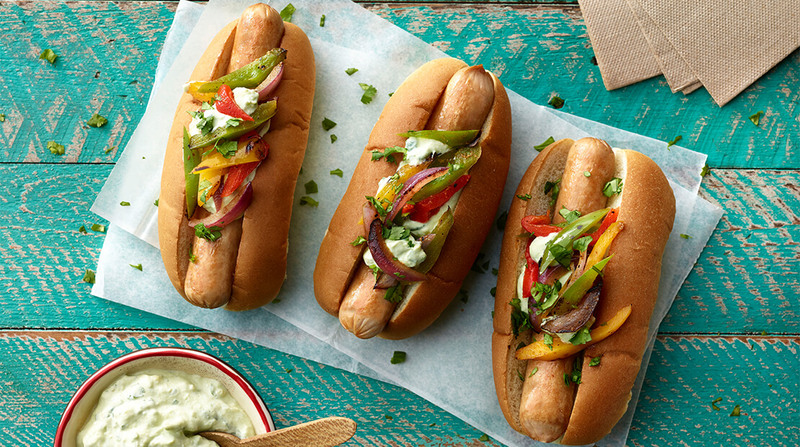 Two new turkey frankfurter ranges have been unveiled by the company, both of which contain between 40% less fat than beef frankfurters and are made without added nitrates or nitrites. The brand has also released two new flavours of turkey bacon, which have been created to satisfy consumer demand for “more diverse flavours”. Blueberry Turkey Bacon is made with real blueberries, while Jalapeño Turkey Bacon contains Jalapeño pieces to add a kick to appetisers, hot dogs and burgers. New turkey products for the deli counter have been introduced such as pre-sliced turkey breast pieces in several flavours, while further new products such as turkey sausages and turkey burgers have also been created by Jennie-O. Brent Koosmann, director of marketing, Jennie-O said: “When it comes to meal time, Americans want it all: their favourite dishes, but with less fat, calories, artificial ingredients or preservatives. Hormel’s Applegate Introduces New Sliced and Grated Cheeses Applegate has launched new ranges of sliced and grated cheese as it aims to raise standards in cheese sourcing and production.